Two years ago, the full-court press was on. President Obama faced a large contingent of military brass pushing for more troops in Afghanistan, especially Army Gen. David Petraeus, then commander of U.S. Central Command. It goes without saying that the general got nearly everything he wanted. Obama approved an increase of 30,000 troops, including more than 8,000 Marines, and they began deploying in December 2009. The assault on Marjah began just two months later, and the Marine Corps established a full forward-deployed Marine expeditionary force in June 2010. At the time, it was hard to find strong military advocates who weren’t in favor of the buildup. After all, combat operations in Afghanistan were the “right” war, a mission that everyone from Obama to grizzled right-wing members of Congress agreed on. 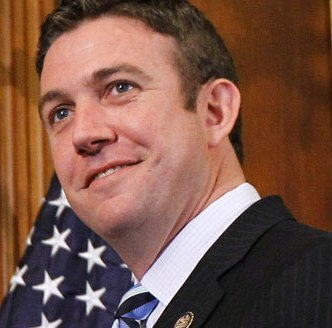 It’s through that prism that an opinion piece by Rep. Duncan Hunter, R-Calif., must be read this morning. A reserve Marine officer who infantry experience, he pushed the U.S. adopting a counterterrorism strategy in Afghanistan. It would allow the U.S. to withdraw thousands of troops, but raise questions about whether the country was leaving behind a vacuum easily filled with extremism. After almost 10 years, progress continues, but it remains painstakingly slow. What might have seemed like good strategy years or even months ago is not showing the level of success that justifies continuing the mission with such a large troop presence. The time has come for a change in strategy that begins with a departure from nation-building and counterinsurgency operations – the centerpiece of U.S. efforts in Afghanistan since Mr. Obama took office. Since 2002, more than $18 billion in civilian aid for nation-building projects has been sent to Afghanistan by U.S. taxpayers. This is more than $300 million a month for the development of a country and government replete with corruption, complete absence of Western rule of law and seemingly committed to upholding the status quo, no matter what the ramifications. Counterterrorism, of course, is the alternate option that Vice President Biden and others pushed as Obama, Petraeus and others settled on an expanded COIN strategy for Afghanistan. Many Republicans and other strong proponents of the military mocked it then, making it noteworthy that Hunter would back it now. Is it a good idea, though? Would it negate some of the work Marines already have done? Is it necessary anyway, in light of how slow and tenuous progress has been as thousands of military families make monumental, painful sacrifices each year? Friends and readers, we’d love to hear your thoughts. It seems counter-intuitive to cease the current strategy after all of the money spent by the government and lives lost by our Marines and Soldiers. But, with the current pace suggesting it may take another 10 years to reach the intended, and potentially unattainable, goal of a secure and self-sustaining democracy in Afghanistan, it may be time to change strategies. If you look back to the tactics used in 2001 at the outset of our engagement in Afghanistan you see the use of Special Operations teams such as the green berets and delta force to develop an afghan-led rebellion over the oppressive Taliban regime. (Eric Blehm’s novel “The only thing worth dying for” gives a great image of these operations) Their success was based on the empowering of Afghan nationals to take back their own country with what they saw as “limited” help from an outside force. It has been shown throughout the centuries that the majority of Afghans despise foreign occupation, creating heroes of those who oppose these forces, no matter the intention of the occupier. Instead they desire to take control of their own destiny in their own way. The image of the U.S., the portrait of Western Democracy, is an image that we must understand is incompatible with the muslim, tribal society of Afghanistan. Can democracy succeed? Yes, but it may look very different than the democracy we enjoy here in the U.S., for example having a criminal justice system that does indeed take its cues from their muslim faith. In order to see this democracy succeed we must remove our large occupational forces from the country and instead turn back to the clandestine and spec ops tactics that proved successful 10 years ago. These are thoughts and opinions that I have personally derived from study of the situation and by no means do I assume to know all of the nuances involved in the history and current operations. I look forward to reading further comments and discussion on this topic. I think this is a great piece. If you’re trying to get your name on the front page for political clout. Unfortunately its completely implausable horseplop and really says nothing but a repetition of a catchphrase taught in OCS when he began his non combat career. I doubt the representative has been to afghanistan, and surely not in a capacity to have a clue on what he speaks. Counter terrorism (honestly just semantics from counter insurgency based on scale) is a great goal. Unfotunately, all the special forces ops in the world fail, without incredible networks of intelligence gathering. Intelligence gathered from the population at large. A population who does not trust outsiders, but has a history of survival. And a survivalist backs a winning horse. If they don’t feel we can provide adequate security from the greater of two evils, then they have no reason to cooperate. Counterterrorism is an admirable goal, if it was small cells planning attacks, but ask any marine who has been to helmand lately – they are still being attacked by squad and platoon sized elements in a very traditional insurgency styled campaign. Until the rest of the insurgency is rooted out, counter terrorism would ultimately fail too. This war as it stands is entering its SECOND year. We’ve had troops in for 10, but in a Mr Hunter on his opinions, but maybe he should focus on matters he knows…. like what’s best for California. And a strong military strength in southern part of his state might just help generate income for him…..